Residents may dive into discounts through Dec. 23 at Four Seasons: From luxury accommodations to gourmet meals to activities, Wailea resort is place to enjoy. 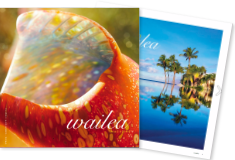 As we approach the busiest time of year for Wailea, there are some special offers for locals to enjoy before “the season’ starts at Christmas time. If you live here, you know it can be time-consuming and expensive to vacation outside of Hawai‘i — and — many of our mainland friends cannot imagine leaving this part of paradise in any case! The price of living on Maui can be a challenge so it’s especially enticing when local businesses offer kama‘aina rates! Read the full details and dates about how to Holiday at Home on The Maui News.